Growing up I was kind of known for sticking up for the underdog. Or as M would say, I always had a “project” going – someone I was trying to pull out of their shell. I thought it was a middle-child thing – you know, wanting to fix everybody and have them get along? I thought that was something different about me. 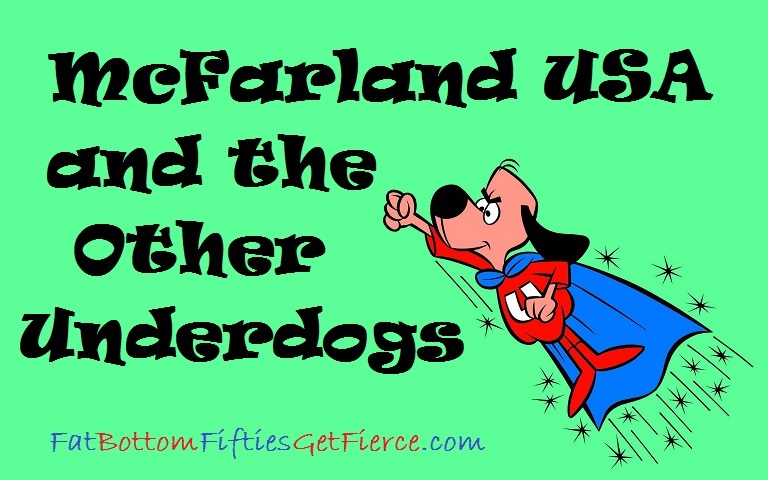 Recently, when I saw McFarland USA the same day I saw back footage on the American hockey team that took the gold medal in the 1980 Olympics, I realized there’s nothing different about rooting for the underdog – it’s what we all do! It’s why Kevin Costner’s McFarland USA (a movie about hispanic teens in an economically depressed town who rise above challenges to form the first cross-country running team at their school) leaves us with a smile on our faces. It’s why people who didn’t even like hockey went nuts as the American team came out of nowhere to win a gold medal – an event that was memorialized in the 2004 movie Miracle. There’s a reason this genre is referred to as “feel-good” flicks. It lifts our spirits to see an underdog succeed. It makes us believe if they can do (whatever they did) we can do whatever we aspire to. It makes us want to be better people. If you want a little pick-me-up this weekend, check out one these c’mon-you-can-do-it movies. Here’s 5 of my favorites. 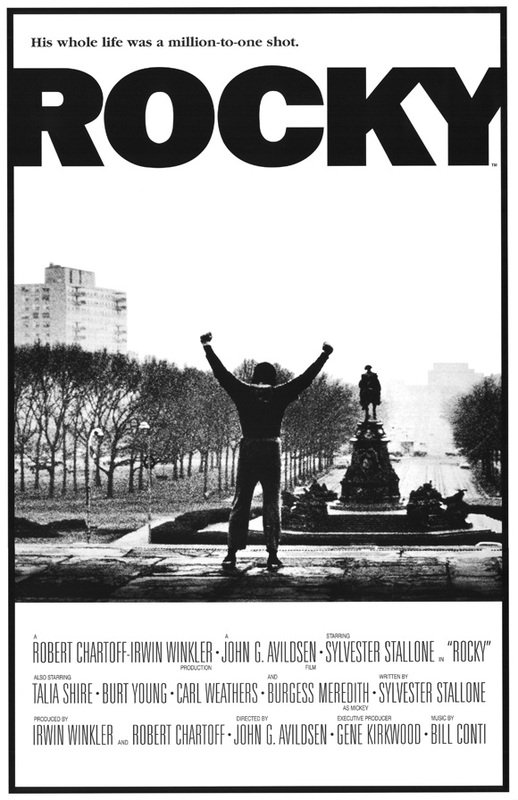 At number 5: ROCKY. Even if you abhor boxing (as I do), you can’t resist rooting for Rocky Balboa as he builds up his stamina for the big fight. And you’ll be humming the iconic song long after the movie is over. Yo, Adrian! 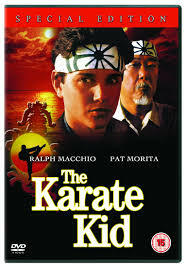 At number 4: KARATE KID Having moved to a new town with single mom for his senior year, Daniel LaRusso develops a friendship with a girl that results in his getting bullied and beat up by her arrogant ex and his buddies – guys who practice a vicious, unethical form of martial arts. The apartment manager, an eccentric humble man, takes Daniel under his wise wing and helps him develop skills to fight back – at a personal cost to himself. Everybody needs a Mr. Miyagi in their life. 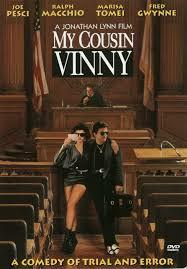 At number 3: MY COUSIN VINNY When Bill and friend Stan, in the wrong place at the wrong time in a backwater southern town, get arrested for murder, Bill calls the only attorney he knows. Which happens to be his cousin, a New York lawyer (played by Joe Pesci) who has only practiced personal injury and never won case. But hey, family is family – so cuz comes down to help out and take on the cocky DA and an annoyed judge who has a bias about big-city folk. As a lawyer who has seen way too much bullying in the courtroom, to me this was a hilarious version of Rocky. Fun, fun, fun. I would be remiss to not mention the under-appreciated, smart-as-a-whip girlfriend played by Marissa Tomei – worth the watch just to see what a hoot she is! 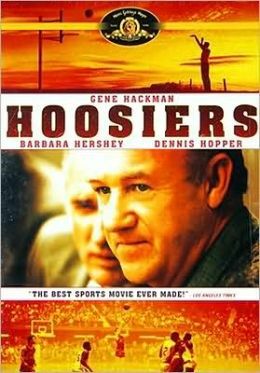 At number 2: HOOSIER An outsider to the farming community where he’s the new basketball coach in 1954, Norman Dale has to deal with local narrow minds as well as a bunch of (for the most part) unathletic players. Trying to describe this story might make it sound dry – and it was anything but. The personalities and the build-up of this movie climax in what has been touted as one of the all-time great movie sports moments. I’m a sucker for movies like this that are based on, or inspired by, real life events. I’m also a sucker for movies with Gene Hackman in them! AND MY ALL TIME FAVORITE SEEING THE TRANSFORMATION FROM UNDERDOG TO AMAZING WINNER? At number 1: TO SIR WITH LOVE The ever proper Thackery (played by the always-incredible Sidney Poitier), looses out at an engineering job and ends up taking a job teaching a high school class full of street savvy, problem riddled, disrespectful toughs – a group nobody wanted to take on (including Thackery) and that had scared off a teach or two before him. What he left these students with was worth more than a 1000 gold medals – and what they left him with changed his life. A MUST SEE! Below is the iconic song from the 1967 movie, sung by Lulu, which sums up with poignancy the heart of this move. WHAT’S YOUR FAVORITE UNDERDOG MOVIE?